We started out with a pretty basic tent. It was so plain that we had to of course add our own flair to it! Luckily, I had Pro Gaff® on hand! This tape is easy to rip with your hands, so no need to worry about leaving scissors out around the kids. Pro Gaff® is super durable. It will hold up against the elements outside. 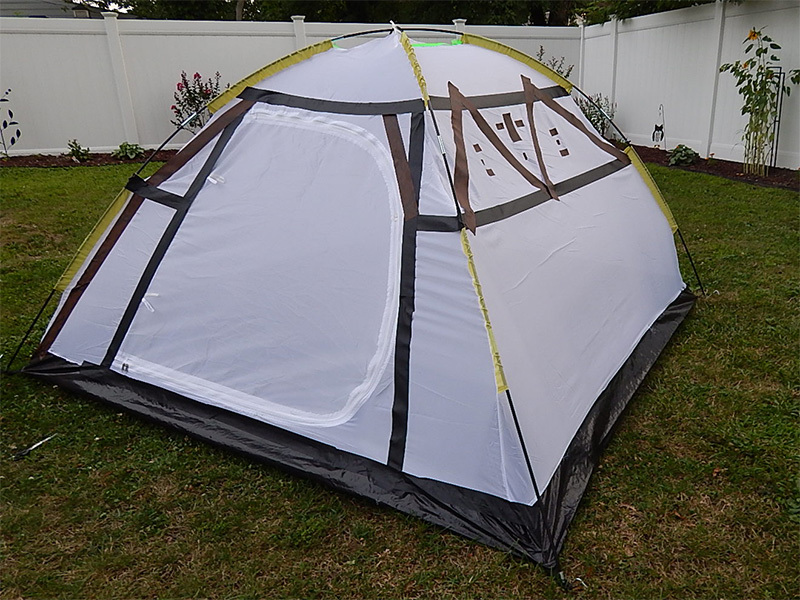 In addition to being amazingly strong, Pro Gaff® will actually help reinforce some areas of the tent where I purposely worked it into my design for some extra security and durability around the seams. 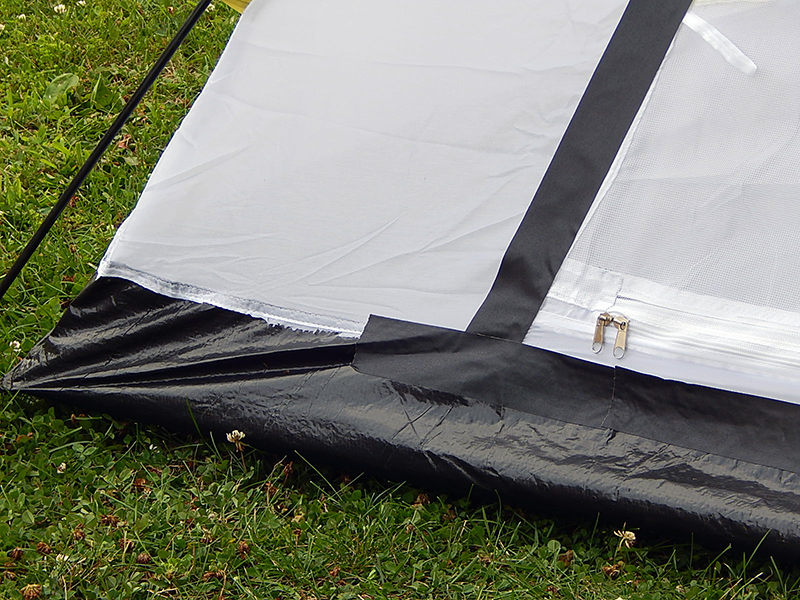 You can see below how the black Pro Gaff® not only added to our design but helped secure that seam around the perimeter and corners. This for sure added much needed reinforcement because, I know with the kids jumping in and out (and all around) that was definitely key. 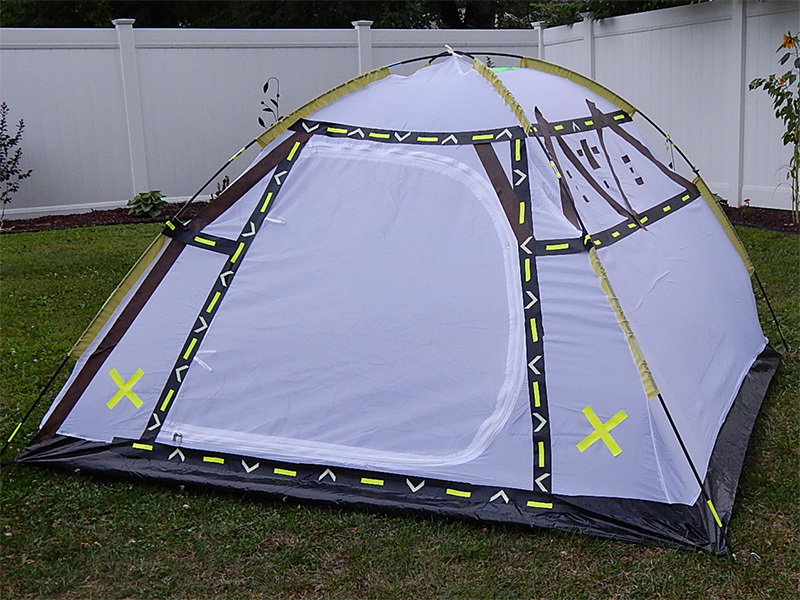 I started this design by adding some stripes and a zig-zag pattern in Pro Gaff® Black and Pro Gaff® Desert Tan Camo, as I did this, the tent reminded me of a tee-pee, so I went with that as inspiration. I found some Pro Gaff® Spike Pads I had in fluorescent yellow and my Pro Glow Gaff® chevron shaped pre-cut pieces on sheets and Pro Gaff® Fluorescent Dots, which I must say really completed this look. These pre-cut shapes were simple to use and we were able to make up a fun pattern with them. (The kids loved this part!) 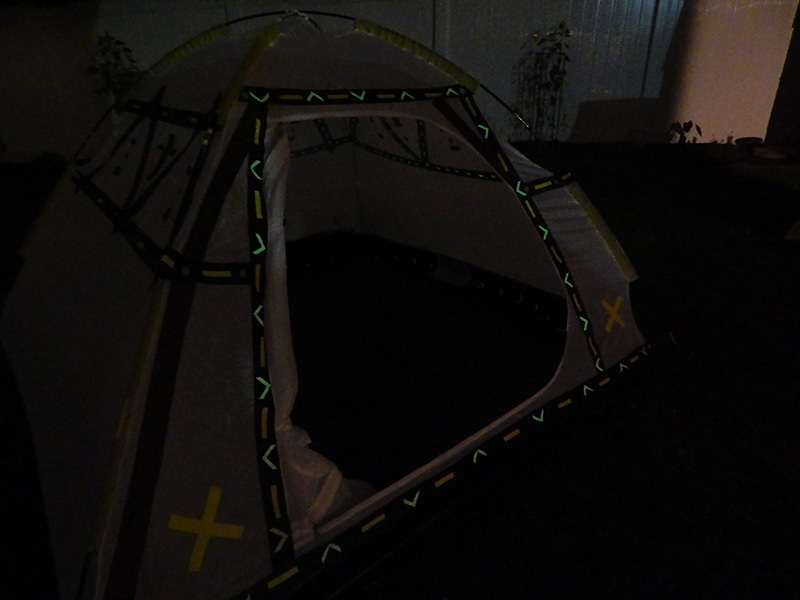 Not only did these little embellishments give the tent a really cool eye-catching native art inspired look, the fluorescent tapes really give off a “glow.” They pop and reflect light so well off our flash lights. This made me think not only did we have such a cool design on our tent but we added an element of safety. 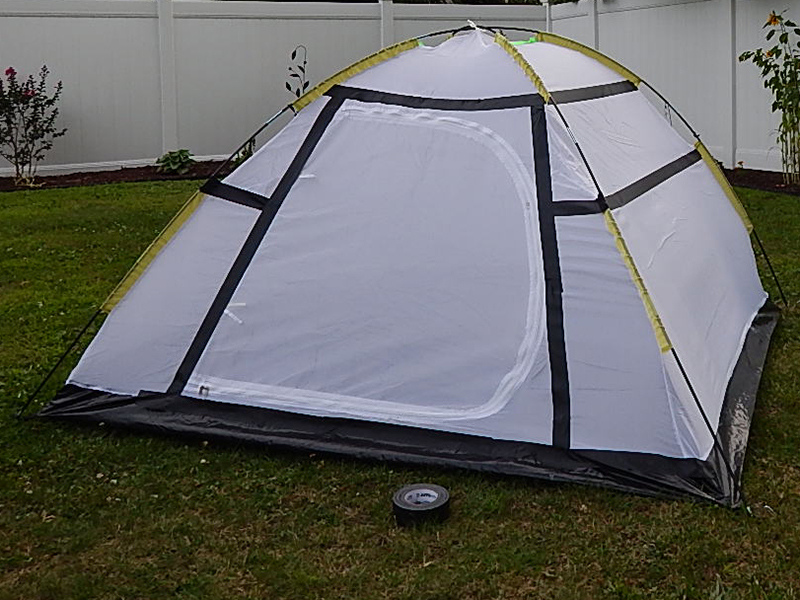 I continued with that thought and added the fluorescent strips on the poles and stakes all around the tent. When you’re outside in the dark, safety first! As the sun quickly set, we were having so much fun, we just couldn’t stop there. WAIT! I was so excited about the fluorescent tape I almost forgot about the Pro Glow® tape! 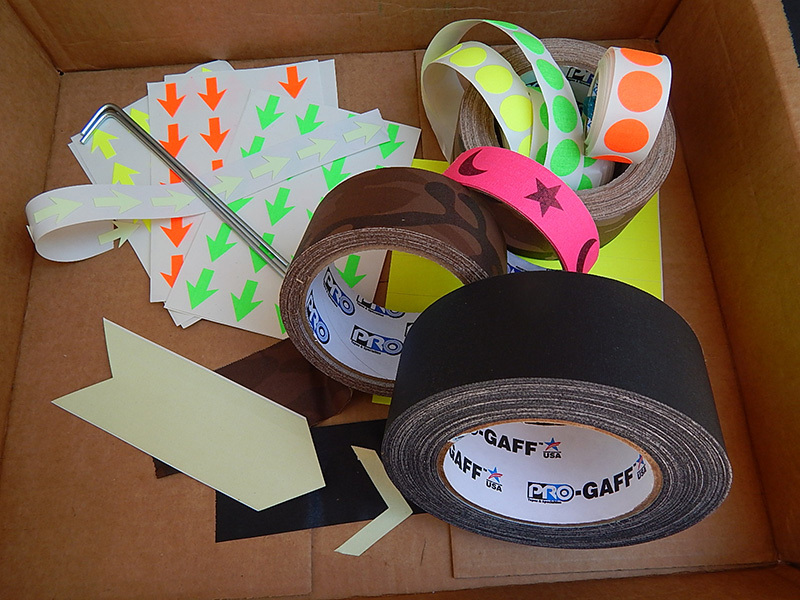 Simply the coolest tape, is Pro Glow Gaff®. 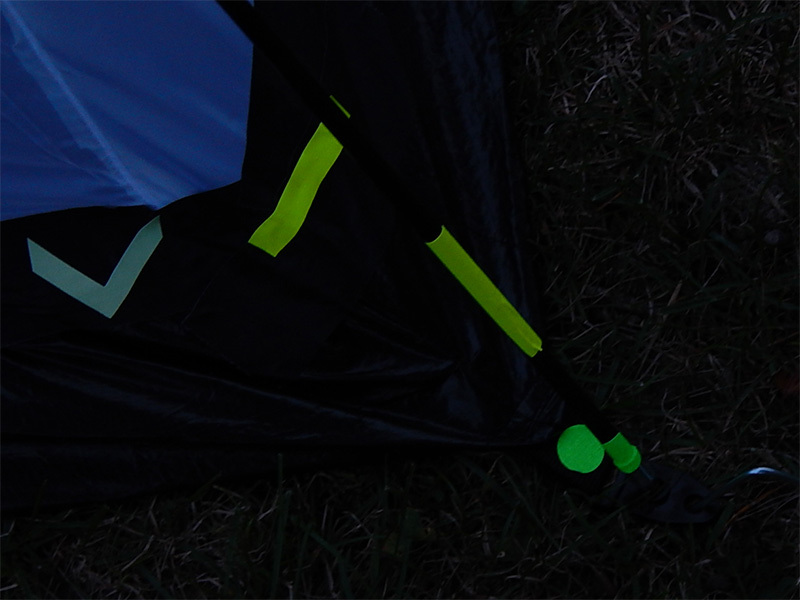 The glow is so bright and on Pro Gaff® tape! You can literally put it ANYWHERE! 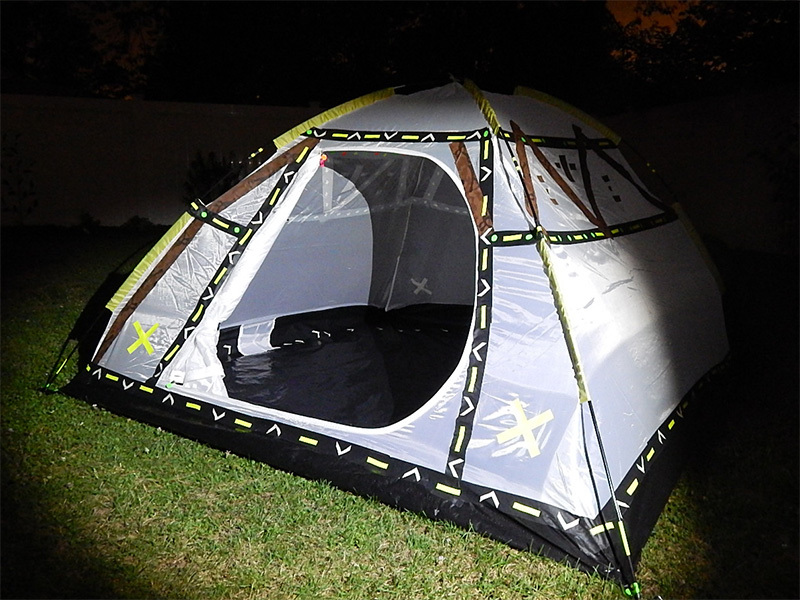 With that said, not only was the design on the outside of our tent reflective, it also glows in the dark. Can you hear our excitement? 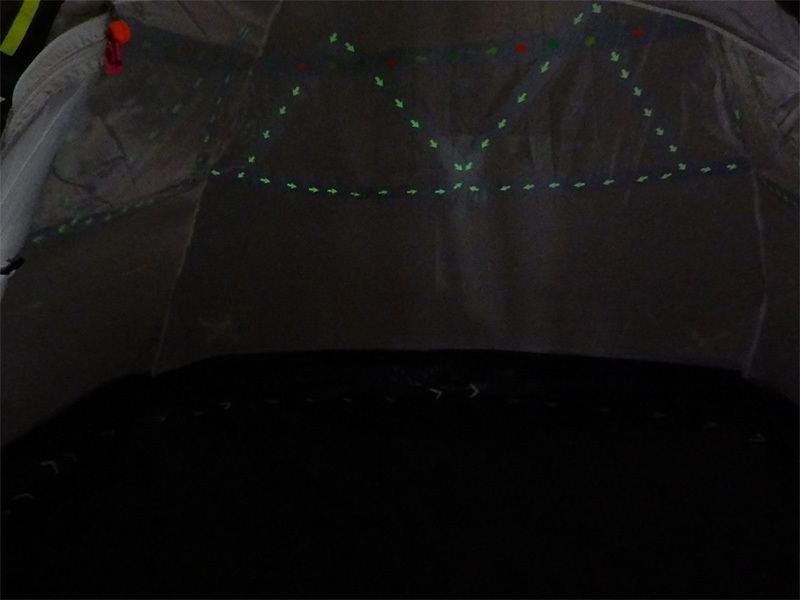 Now that it’s dark outside and the mosquitoes are out… we moved the fun to decorating the inside of the tent. We used some Artist Tape pre-cut shaped arrows in fluorescent colors we thought would be fun to place around the interior. From the inside of the tent the Pro Gaff® Black and Desert Tan Camo Printed cast a shadow, so we used that as a design element inside too by adding the Pro Glow® Arrows pointing up and down the peaks of the zig-zags. This became a fun game; to “trace” the flash lights around and follow the direction of the arrows! WINNING! Design with a purpose! Along the floor of the tent we used the Pro Glow Gaff® chevron shaped pre-cut pieces all pointing back around to the door of tent. While all that fun was being had, I remembered I had some Pro Gaff® Fluorescent Dots and Artist Tape arrow shaped pre-cut pieces and we made a fun pattern with those too. I couldn’t stop there! 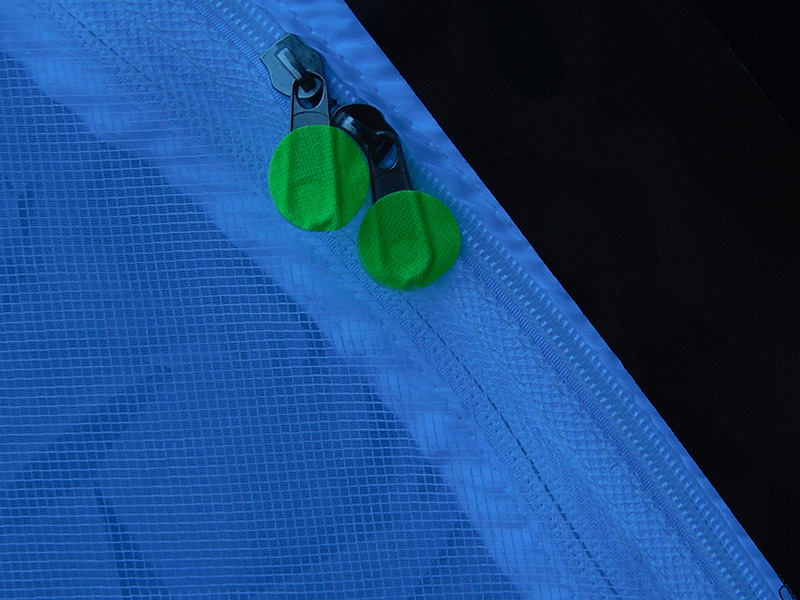 Love how easy it is to see these Pro Gaff® Fluorescent Dots; I took two and sandwiched them on each zipper pull. BRILLIANT! 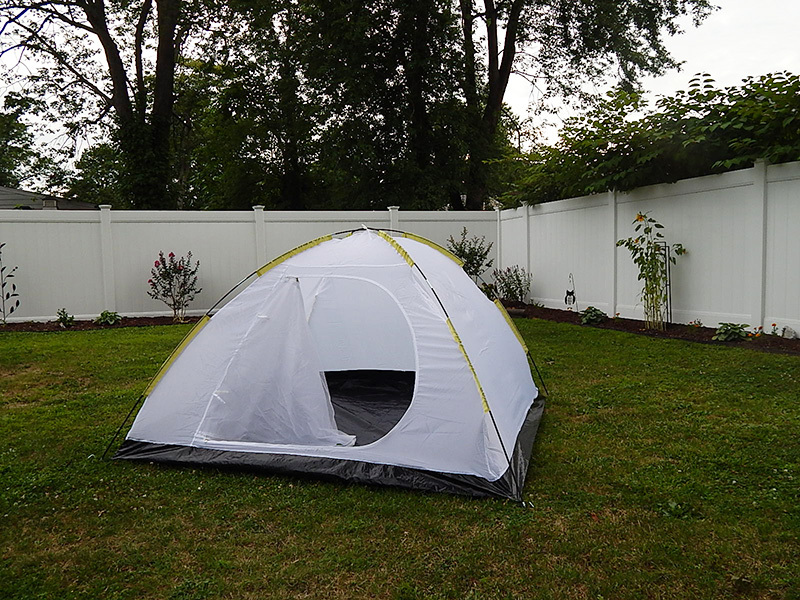 If you plan on going camping, with or without children, Pro Gaff® Fluorescent Dots and Pro Glow Gaff® should be added onto your essential list! I love how the glow and fluorescent tapes lit up on the inside, as well as helped with marking off the zippers, door and stakes around the outside. 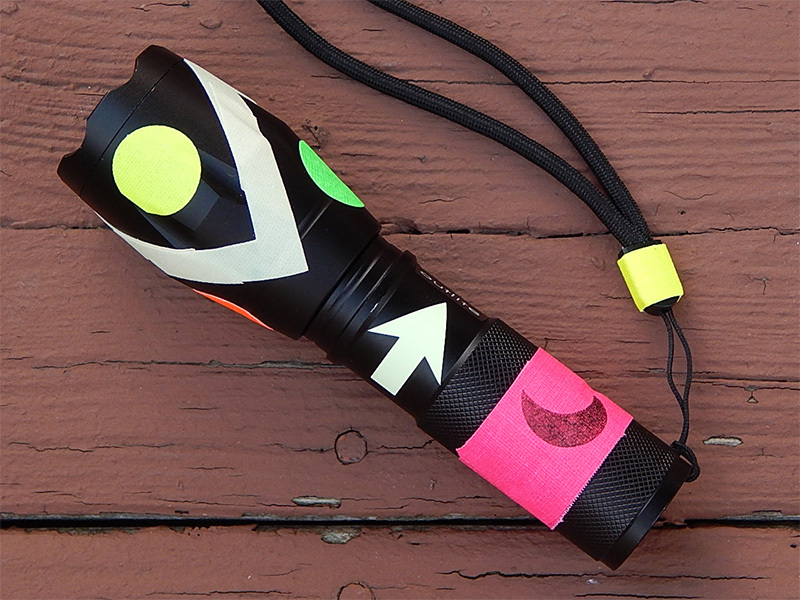 I think I will add Pro Gaff® Fluorescent Dots and Pro Glow Gaff® to everything… most importantly my flashlight! Because I keep losing it when it is off! Get yourself some Pro Tapes® essentials now and you’ll be a happy camper later for sure!